Pre-Install Scan – Scans and Cleans heavily infected system before installation. Startup Scan – Checks memory on Startup and dis-infects automatically. Macro Viruses, Worms, Trojans, Downloaders, Backdoors. Complete E-mail Protection & Security -Scans Messages and Attachments for Malicious content. Blocks new & unknown viruses in real-time before they reach your Inbox. Supports all Pop3 compliant mail clients. Saves your valuable time and leaves you free to concentrate on work mails. Worm Stopper – Stops Mass-Mailing Worms which send themselves out to contacts in your address book. Cleans Hard Disk for hidden threats - Net Protector detects Adware, Spyware, Riskware, Downloaders, Trojans, Internet Dialers & other potentially unwanted applications. E-Mail Protection – Saves your valuable time and leaves you free to concentrate on work mails. Intruder Alert – Worm Trapper detects and stops intrusion of new / unknown worms into your OS. Automatic File Infection Removal – Net Protector Automatically cleans infected files when an infection is detected. Reduces Internet/Telephone Bills -Reduce Unwanted Internet Traffic, Reduce Unwanted Internet Bills & High Upload – Download Bandwidth Bill. Scheduled Auto Scanning – Schedule Automatic Scanning at specified time to thoroughly check your computer for viruses daily. Lunch Time Scanner does its job while you are away from your desk. Right Click Scanning - Net Protector lets you use Right click on any selected folder within Explorer to start a scan. 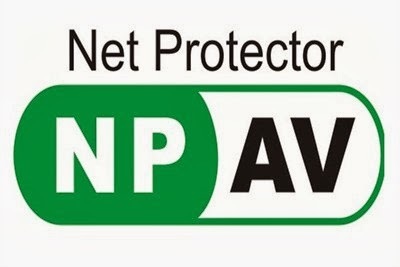 Note : Before Installing Full Version of Net Protector AntiVirus, Please remove any other AntiVirus Software on your PC otherwise your Computer may hang or freeze.